How high are realtors' and lawyers' fees in Norway? What about other property purchase costs? How difficult is the property purchase process in Norway? During the signing of the contract the seller issues the deed to the buyer. The deed will be kept by the agent until its registration (the final step). Upon registration, a certified copy of the land register is issued by the registration authorities. It shows the name of the title owner, and any encumbrances attached to the property. 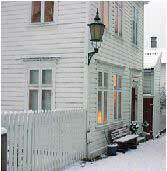 It takes around three days to complete the single procedure needed to register property in Norway. The real estate agent's fee varies and depends on the assignment's complexity, marketability and size. For property up to NOK50 million (€7,142,857), the agent's commission will normally be around 1% to 2.5% of the purchase price of the property, plus 25% VAT. How landlord-friendly is the law in Norway?